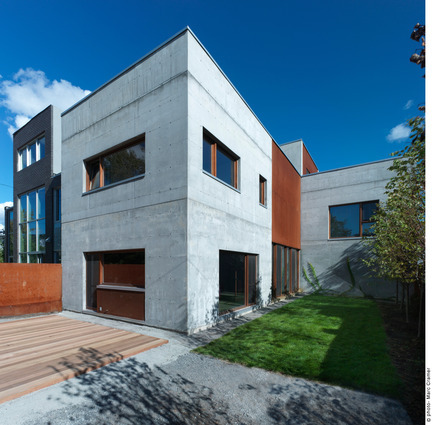 Montreal, Canada, 2013-02-19 - Inspired to create a home to be experienced by all five senses, the Beaumont concrete house evolved as an exploration project. 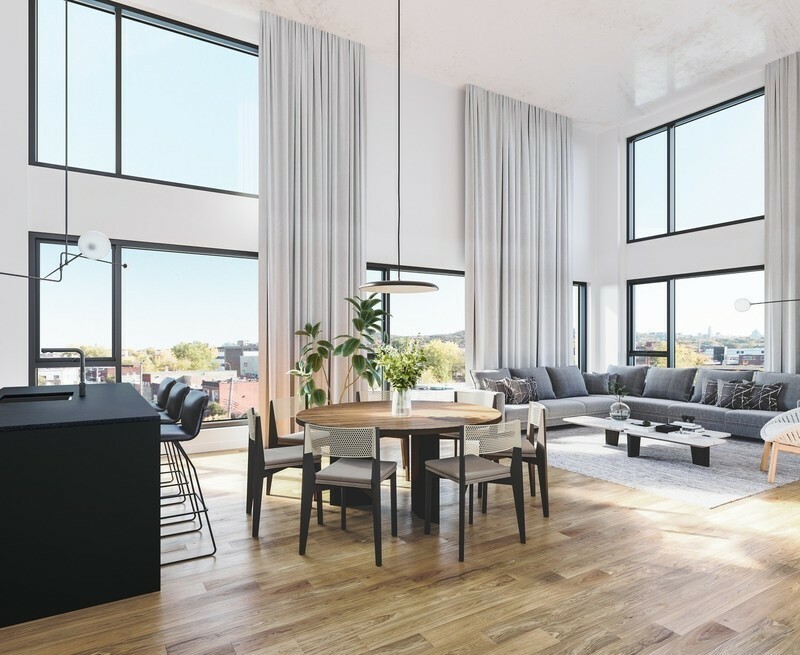 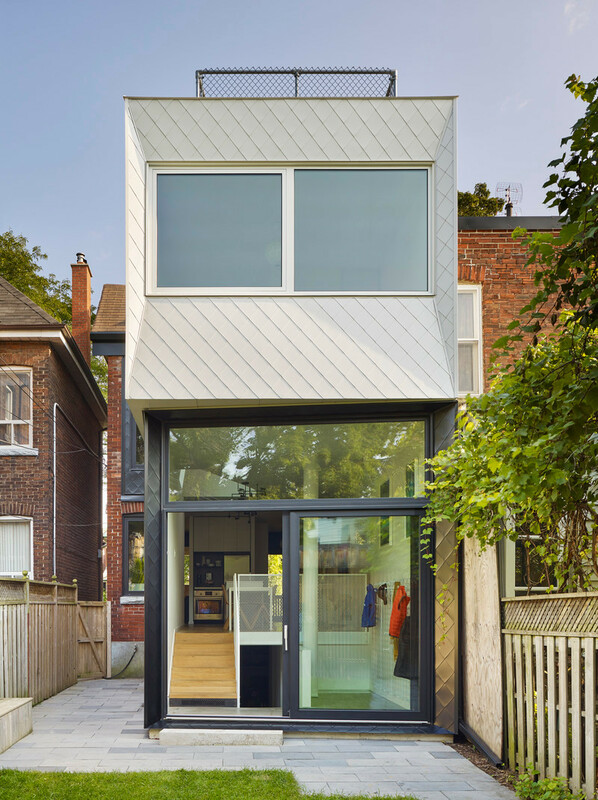 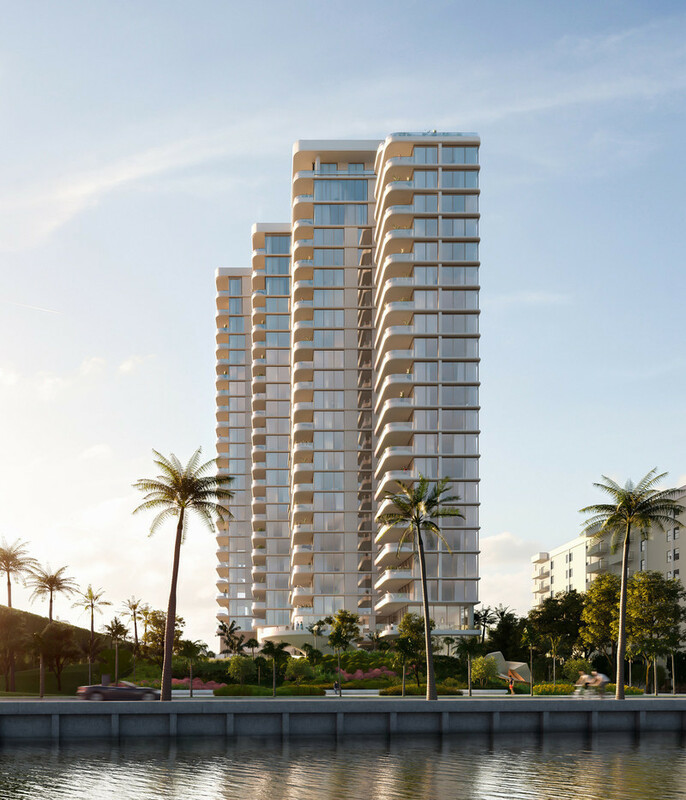 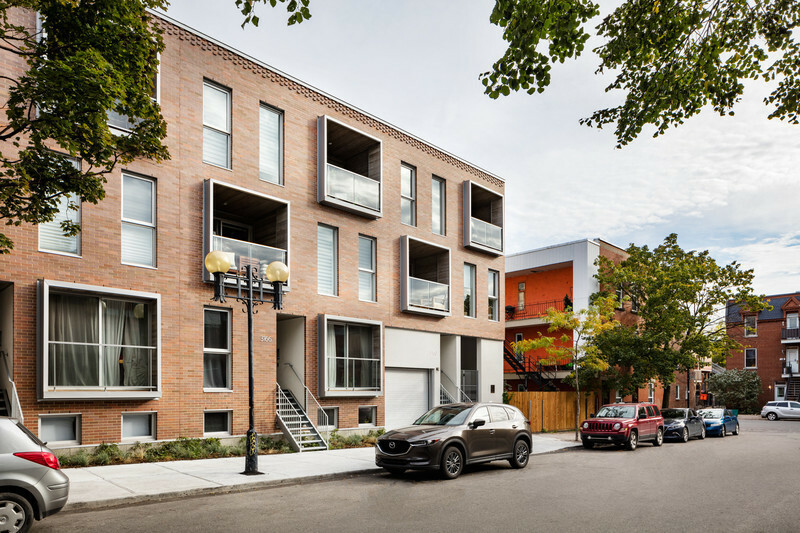 The design, understated, is situated in a mixed use neighborhood where residential duplexes coexist with small to midsize industrial buildings. 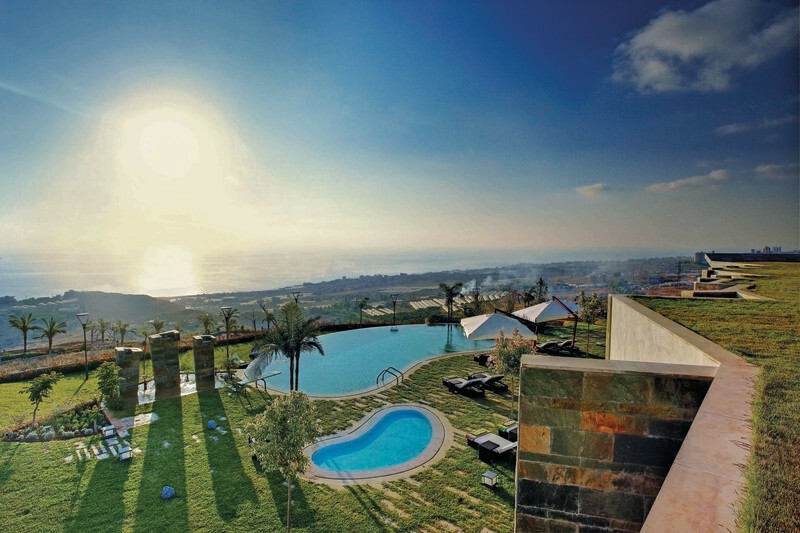 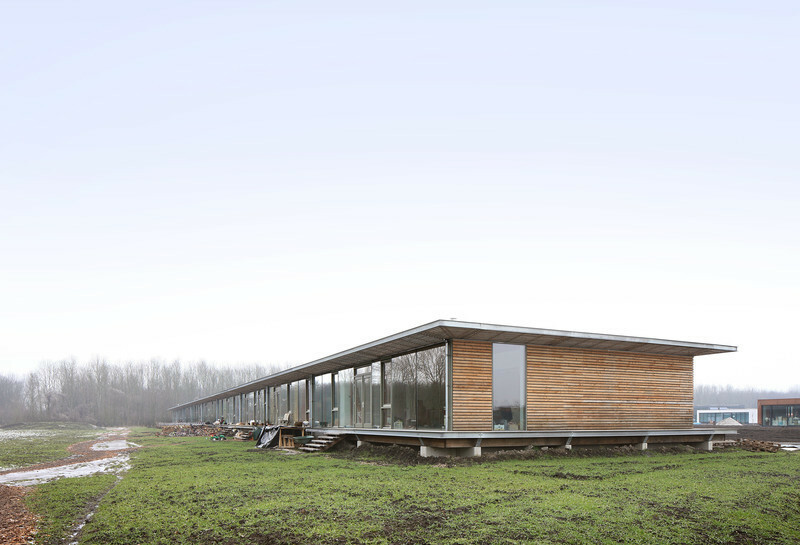 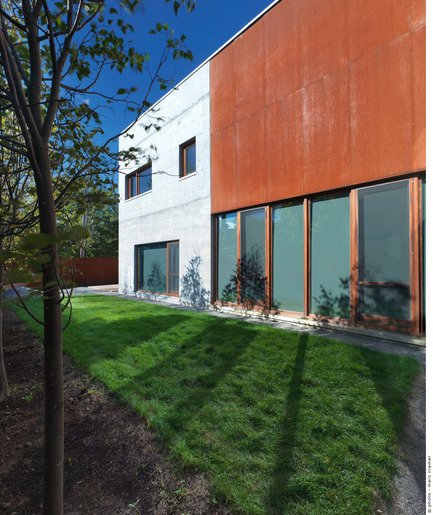 Despite the project’s integration, a number of features distinguish the project from other buildings in the area. 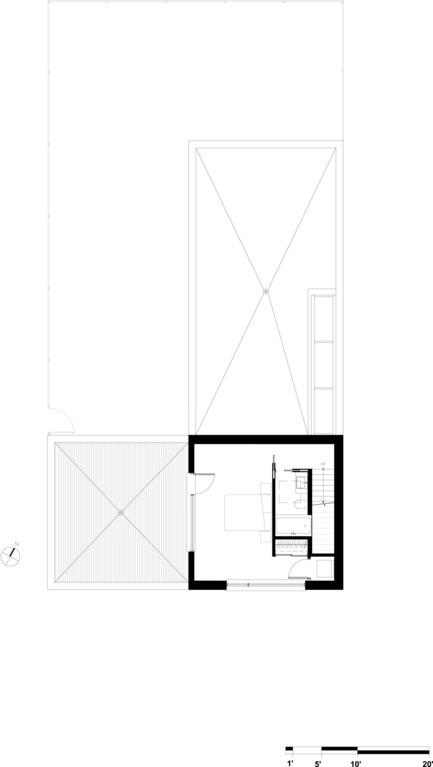 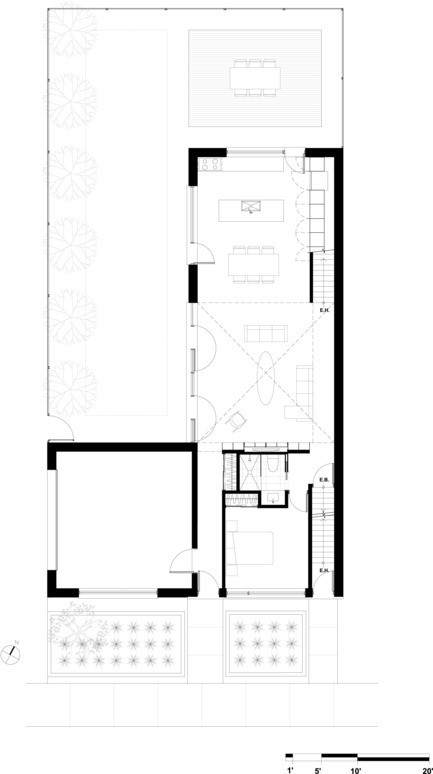 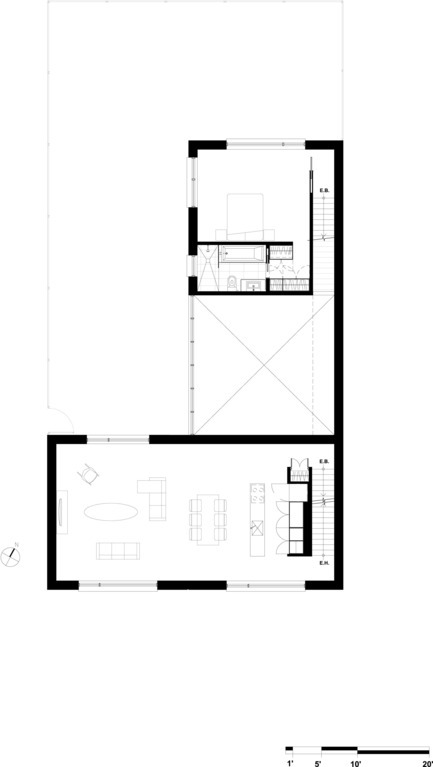 In contrast to the superimposed typology of apartment units located on the ground floor and second floor, the Beaumont house challenges this spatial composition by creating a modular square plan where one unit is situated on the ground and second floor, and a second unit is located on the second and third floor. 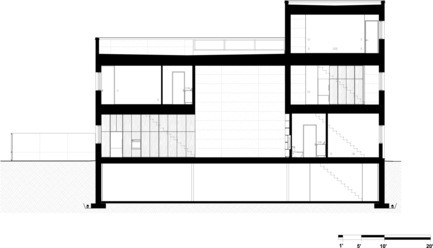 This spatial tour de force is a response to the program and sun movement, allowing each unit exposure to three orientations rather than two and to take full advantage of southern sunlight. 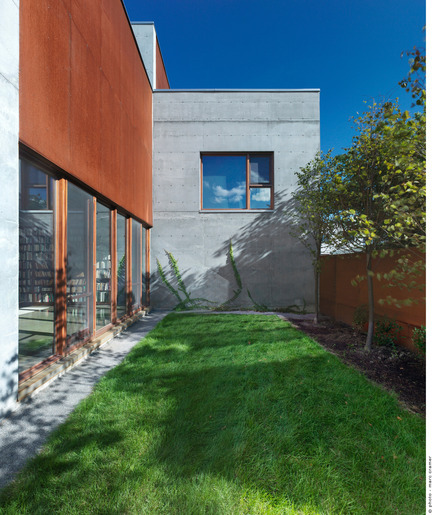 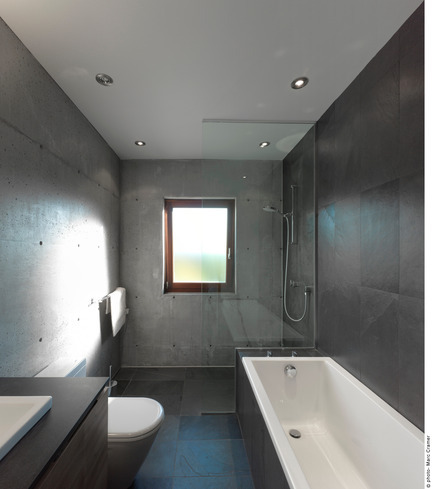 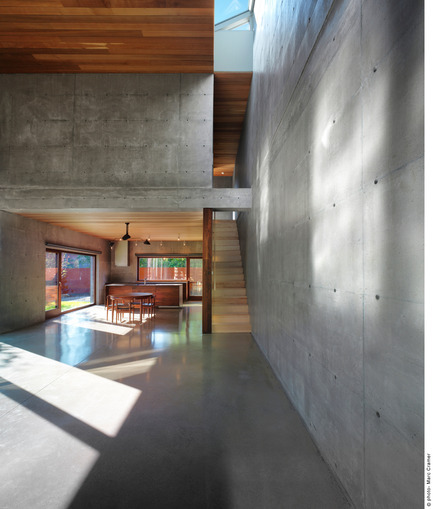 The house most noticeable feature, however, is the fact that nearly all exterior walls are built out of concrete exposed to the interior and the outside, with insulation in the middle. 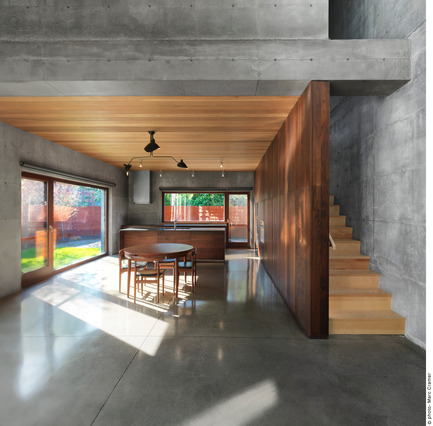 Combining rich primary materials to large modular square volumes filled with an abundance of natural light, the house contains a series of framed experiences. 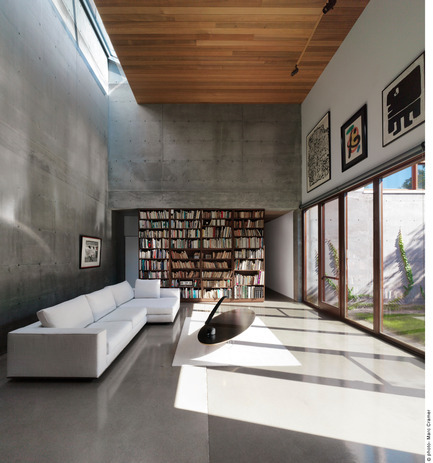 The central space is the largest volume where a double height living room is defined by concrete and wood surfaces which foil off each other. 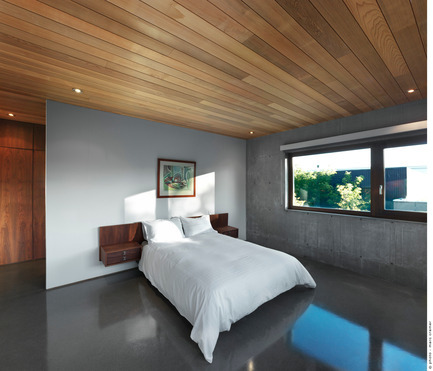 The softness of the walnut cabinetry and the cedar ceiling contrast the hard textured concrete walls. 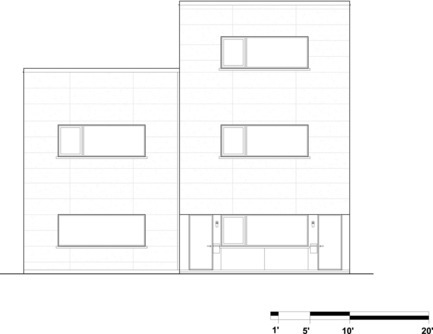 The pallet of materials is reduced and disciplined. 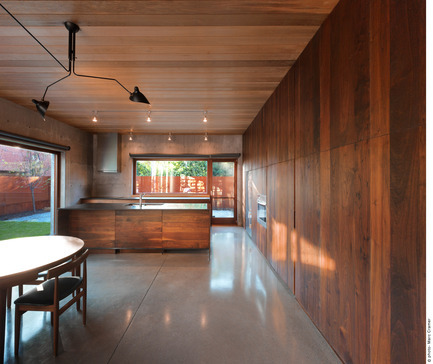 Cedar ceilings and concrete floors are used throughout. 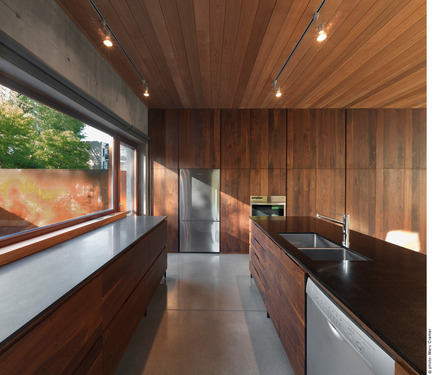 Secondary elements such as Walnut furniture with black granite surfaces are also featured. 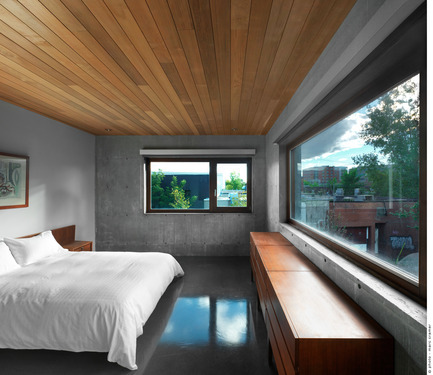 Henri Cleinge graduated from Carleton University in 1989 and established his practice in 1998. 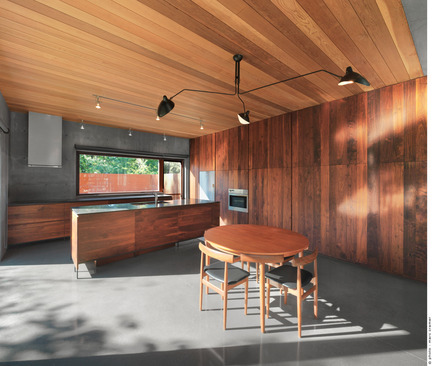 The firm prioritizes the design exploration process and self-expression, working closely with artisans crafting materials together into personal compositions. 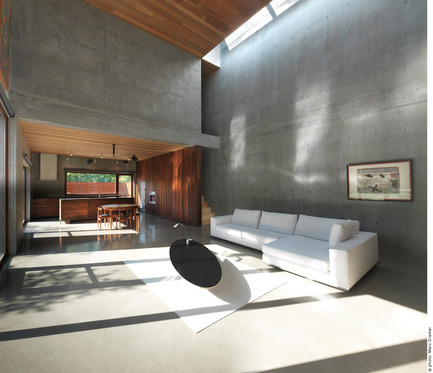 Henri Cleinge’s practice attempts to create an experiential elemental architecture, respecting simplicity and essence. 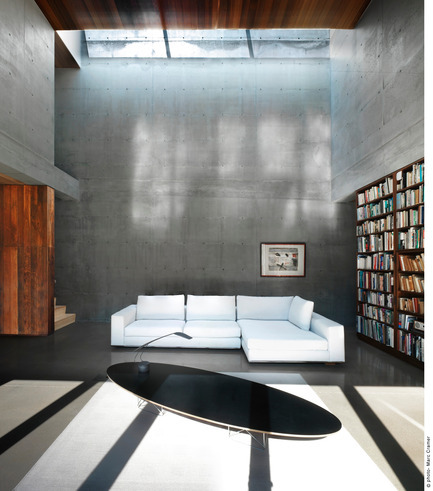 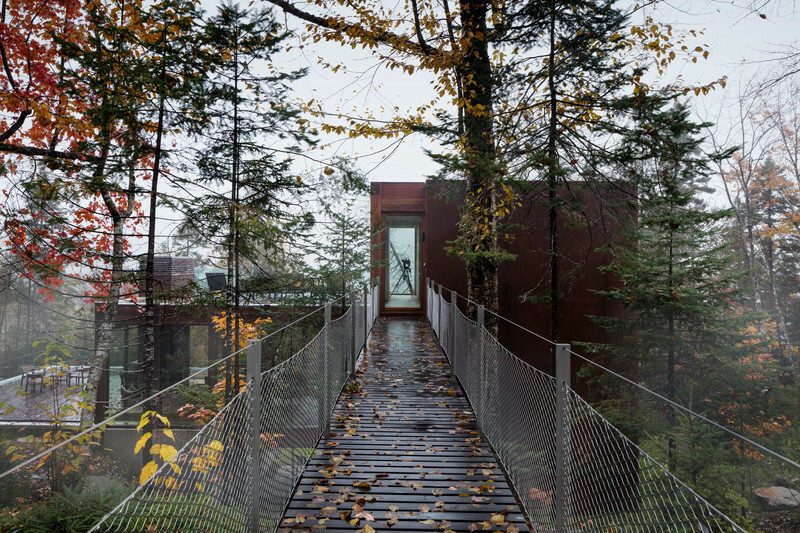 His approach emphasizes light and space defined by raw materials such as wood, steel, and concrete. 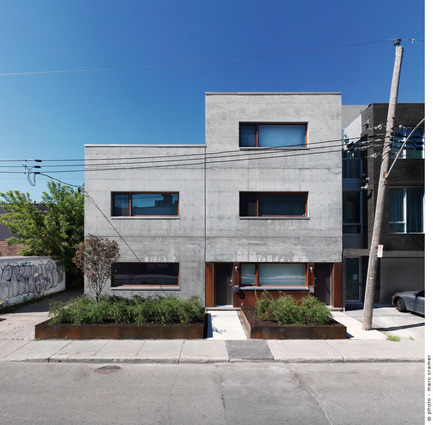 The firm’s projects include, in Montreal, the Beaumont house (2011), the contemporary housing project 6747 à 6759 rue Saint-Urbain (2005), The Christophe-Colomb house (2008), as well as a number of commercial spaces such as the restaurant SoupeSoup on Wellington street and the restaurant La Salle à Manger.